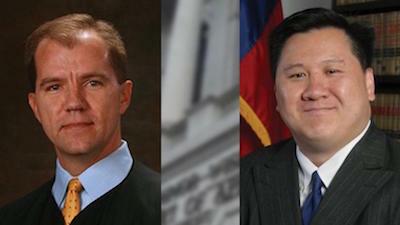 Jim Ho and Justice Willett are two exceptional legal minds who will faithfully interpret the law, not rewrite it. Mr. Ho skillfully defended the state before our nation’s highest court while Justice Willett has distinguished himself as a thoughtful jurist known for his legal writing. I was proud to join Senator Cruz in recommending both candidates and I look forward to building support among my colleagues for their nominations. We recommended both nominees to President Trump following an extensive review and interview process of the candidate pool by the bipartisan Federal Judicial Evaluation Committee (FJEC). Sen. Cruz and I established the FJEC, a bipartisan panel of leading attorneys in Texas, to help identify the most qualified candidates to fill judicial vacancies. The panel reviewed applications, interviewed candidates, and made recommendations to us, and we interviewed individuals before making our recommendations to the President. Justice Don Willett currently serves as a Justice on the Texas Supreme Court. He was appointed to the Texas Supreme Court by Governor Perry in 2005, and was then elected to that position by the people of Texas in 2006 and 2012. Before assuming judicial office, Justice Willett held several other positions of public service. From 2003 to 2005, he was a Deputy Attorney General and chief legal counsel to the Attorney General of Texas, and before that, was Deputy Assistant Attorney General in the Office of Legal Policy at the U.S. Department of Justice. Previously, Justice Willett served in the White House as Special Assistant to the President and Director of Law & Policy in the White House Office of Faith-Based and Community Initiatives. From 1996 to 2000, Justice Willett was Director of Research & Special Projects for Governor Bush. Before entering public service, he practiced labor and employment law in the Austin office of Haynes and Boone, LLP. Justice Willett clerked for Judge Jerre S. Williams of the U.S. Court of Appeals for the Fifth Circuit. Justice Willett is a member of the American Law Institute and recently served as editor-in-chief of Judicature—The Scholarly Journal for Judges. He earned a B.B.A. from Baylor University, and then three degrees from Duke University: J.D. with honors, M.A. in political science, and LL.M. in Judicial Studies. Jim Ho is currently a partner in the Dallas office of Gibson, Dunn & Crutcher LLP, where he serves as co-chair of the firm’s appellate and constitutional law practice group. Before joining the firm, Mr. Ho served as Solicitor General of Texas in the Office of the Attorney General of Texas. Before relocating to Texas, Mr. Ho served as a law clerk to U.S. Supreme Court Justice Clarence Thomas and as Chief Counsel to U.S. Senator John Cornyn on the Senate Judiciary Committee. Mr. Ho also served in the U.S. Department of Justice, first as a special assistant to the Assistant Attorney General for Civil Rights, and then as an attorney-advisor in the Office of Legal Counsel. Upon graduation from law school, Mr. Ho served as a law clerk to Judge Jerry E. Smith of the U.S. Court of Appeals for the Fifth Circuit. He earned a B.A. in Public Policy, with honors, from Stanford University and a J.D., with high honors, from the University of Chicago Law School.